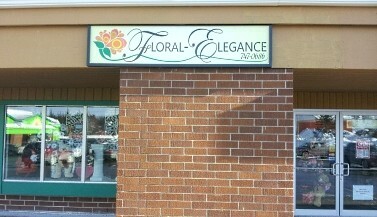 Established in August 2012, FLORAL-ELEGANCE is more than just your average florist! 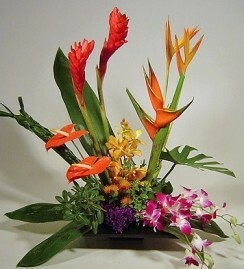 We specialize in residential and corporate floral arrangements. 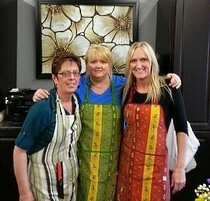 FLORAL-ELEGANCE is a professional local florist proudly serving Mount Pearl, Newfoundland and surrounding areas. Our friendly and knowledgeable staff is ready to assist you when you need flowers delivered locally or anywhere in the world. 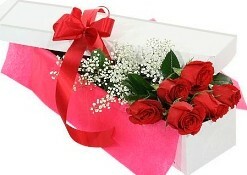 Local delivery is offered on all our flowers, and we offer daily delivery service to all local hospitals and funeral homes. Owner Jacqueline is an accredited florist with over 35 years experience working in the floral industry, combined with her ornamental horticulture experience. 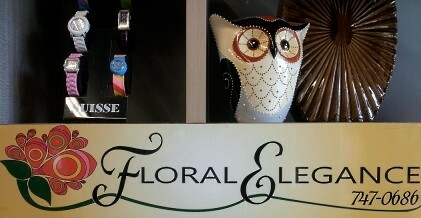 In addition to a variety of flowers, she offers her customers unique gift choices from custom gift baskets to complete their tribute to fashionable ladies' handbags, wallets, watches and designer-inspired scarves. 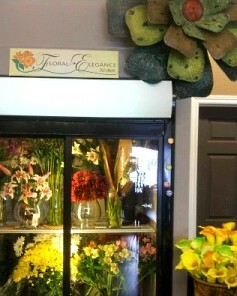 If You're Looking for a Difference in Your Floral Designs... Come to FLORAL-ELEGANCE Multi-Design Studio! 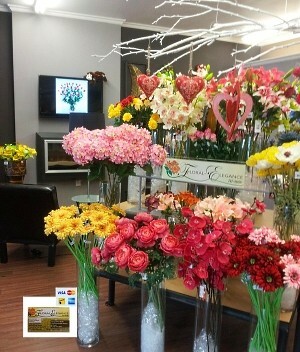 We're a flower shop like no other within the city. 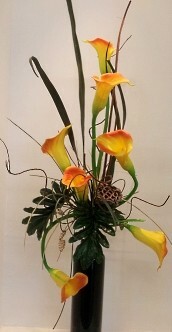 Also, ask about our Natural Touch artificial flowers... completely allergy free, but they feel and look so lifelike. It's amazing! 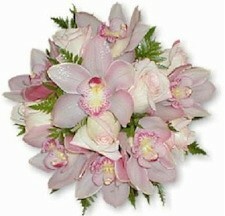 Custom-designed wedding bouquets are our specialty. Whether your wedding or party is formal or casual… A small gathering or the social event of the year… We can help you plan a dream wedding or another special event that's a "blooming" success! 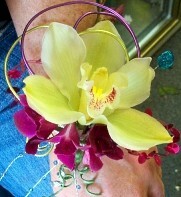 Call Floral-Elegance in advance at 709-747-0686 to schedule your consultation. Browse our wonderful green plants, blooming plants and dish gardens for a gift that adds life to any room or office. One of our gift baskets of fruit and goodies would also make a thoughtful and tasty choice anytime of year. Our shop offers gifts for all ages, including plush stuffed animals, balloon bouquets, candy & chocolates, silk arrangements, artificial flowers, baby items, scented candles, home décor, metal wall art, handbags, wallets, watches, scarves, blingy jewelry for weddings, proms & graduation, and so much more! Thank you for visiting our website for flowers delivered fresh from your Mount Pearl, NF florist of choice, Floral-Elegance!